The BOLT Lock Hitch Pin Locks is suitable for Heavy Duty Towbars with removable Tongue and fits 50mm x 50mm Receivers. Maximum Gross Trailer Weight of 7,575kg (16,000lbs) and maximum Towball Tongue Weight of 725kg (1,600lbs). They can be used as a hitch lock, hitch pin lock, tow ball lock, trailer hitch lock, caravan hitch lock, locking hitch pin, tow hitch lock, heavy duty hitch lock, master lock hitch lock, weatherproof hitch lock, high security hitch lock, master key hitch lock, keyed alike hitch lock, self keying hitch lock. Please select the Hitch Pin Lock for your vehicle or if you don't want to use your ignition key, BOLT Lock Australia provides the Key for FREE with your purchase of the BOLT Key Range. The Chyrsler & Dodge Hitch Pin Lock is compatible with the Chrysler - 300, Crossfire, Neon, PT Cruiser, Sebring, and Voyager Keys and the Dodge - Avenger, Caliber, Journey, Nitro and the Ram Pickup Keys. The Ford Hitch Pin Lock is compatible with the Ford - Escape, Explorer, F Series, Falcon, Fiesta, Focus, Kuga, Mondeo, Mustang, Ranger, Taurus, Territory and Transit Keys. The GMC & Chevrolet Hitch Pin Lock is compatible with the Chevrolet - Avlanche, Blazer, Camaro, Corvette, Silverado, Suburban, Tahoe Keys and the GMC - Sierra, Yukon Keys and the Cadillac - CTS and Escalade Keys. 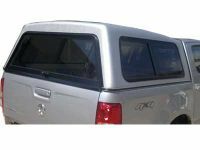 The Holden Hitch Pin Lock is compatible with the Holden - Colorado, Commodore VF, Equinox, Trailblazer, Trax and Ute Keys. The Jeep Hitch Pin Lock is compatible with the Jeep - Cherokee, Commander, Compass, Grand Cherokee, Patriot and Wrangler. The Mazda Hitch Pin Lock is compatible with the Mazda - Bravo (B Series), BT-50 and the Tribute Keys.